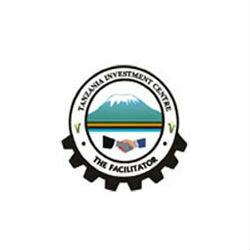 For the 2012 investment year, Tanzania Investment Centre (TIC) registered 869 new projects totalling 19.07 billion USD of which a significant portion was spent on the Agricultural sector in Tanzania. The Agri-business received 8.79 billion USD, Communication sector received 2.88 billion USD and projects in the manufacturing sector totalled 2.89 billion USD. Due to Tanzania’s strategic geo-position in East Africa it is fast becoming one of the leading economies in the region with an array of investment opportunities and driving force sectors. In a recent interview with TanzaniaInvest.com, TIC Executive Director Raymond Mbilinyi talked about Tanzania’s steady inflow of FDI and the emerging sectors like Oil and Gas following the amass discoveries of natural gas reserves in the country. “Most of the FDI has gone into exploration of oil and gas in the southern part of Tanzania. Also the manufacturing sector which is doing well, there is a huge increase in investment in manufacturing. The mining sector is also doing well and is receiving increased investments for expansion and exploration with existing mining. Tourism is also one of the sectors that is attracting more investment.” Mbilinyi said. Mbilinyi also mentioned the Tanzania Goverment plan to strengthen Agri produce and grow the sector to its full potential. “We will identify land, inputs, and how we should process agri products to ensure that it becomes vibrant and one of the biggest growth sectors in Tanzania” he added”. With major investments in Tanzania on the rise, projects around the country have been noticable, yet infrastructure in the power and transportation sectors demand needed improvements which leave room for significant growth and further diversification of the Tanzanian Economy.